We are a family owned and operated restaurant and offer full catering. Whether you would like us to host your event in our facilities or have it delivered and served in your own home, you'll be glad you chose us! All of our recipes are made from scratch, including our fresh baked bread made daily. Our desserts are also made in house so if you haven't tried one of Michele's desserts, you absolutely do not know what you are missing! We use the finest quality of products including Icelandic Cod, Certified Angus Beef Products, and fresh produce purchased from local vendors. Our sauces are made for each order, not by the batch and our seafood is among the freshest anywhere. So sit back, enjoy your time out, and let our family take care of your family! 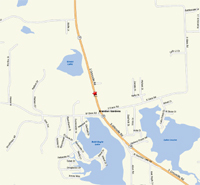 We are located on S. M-15 (Ortonville Road), just North of Glass Road. We are south of Grange Hall Road. 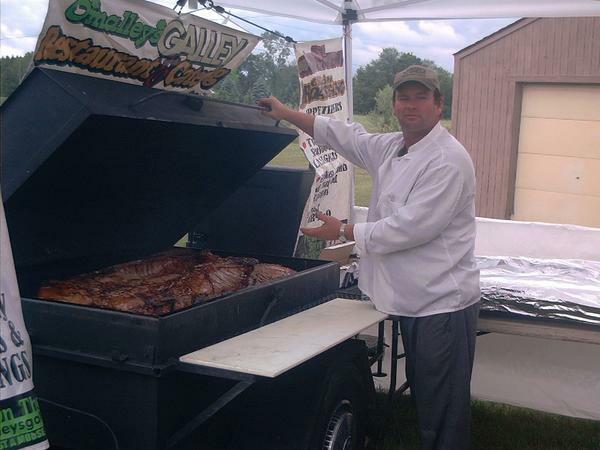 Restaurant and Catering featuring Seafood, BBQ, Steaks and More! We also have a full bar with Cocktails, Wine and Beer!